A CPD article improved Robin Hooks’s knowledge of how to use the ABCDE approach to assess a deteriorating patient. 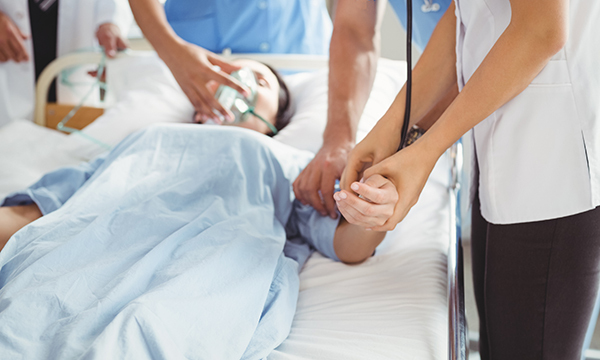 The article outlined the ABCDE (assessment, breathing, circulation, disability, exposure) approach to assessing a deteriorating patient, explaining the actions that healthcare practitioners should undertake. What did you learn from the CPD activity, feedback and/or event and/or experience in your practice? The article stated that the first component of the ABCDE approach involves assessing the patient’s airway. For instance, the airway may become compromised as a result of central nervous system depression, which can be improved by using the head tilt-chin lift manoeuvre or an airway adjunct. Suction can be used to clear any fluids or secretions obstructing the airway. In the second component, breathing, the healthcare practitioner should assess the rate and depth of respiration and chest movements. It is also essential to measure oxygen saturations via pulse oximetry, and to provide supplemental oxygen where necessary. The circulation component includes assessment of the patient’s pulse and blood pressure. The article stated that impaired circulation can result from cardiac conditions, issues with circulating volume or loss of normal vascular tone, and may lead to shock. Disability relates to the functioning of a patient’s central nervous system, and involves assessing their level of consciousness. I learned that if the patient’s consciousness level is reduced, their blood glucose level should be measured to rule out hypoglycaemia as a cause. Exposure involves assessment of the patient’s skin, to identify any bleeding, bruising, rashes or swelling. The healthcare practitioner should ensure they preserve the patient’s dignity and temperature while inspecting their skin. How did you change or improve your practice? The article described a preliminary assessment that can be undertaken before using the ABCDE approach, known as the ABCD (attitude, behaviour, compassion, dialogue) mnemonic, which I intend to use in my practice. I am aware that while I am assessing a patient, equally they will be assessing me and forming an impression based on my attitude, dress and demeanour. Reading the article has reinforced my knowledge of each component of the ABCDE approach, and reminded me of the importance of using a structured approach when assessing deteriorating patients. The information provided in the article can assist nurses to maintain the skills necessary for safe and effective practice, in accordance with the theme of practising effectively. It is also relevant to the theme of preserving safety, which states that nurses must act in an emergency within the limits of their knowledge and competence. This reflective account is based on NS922 Smith D, Bowden T (2017) Using the ABCDE approach to assess the deteriorating patient. Nursing Standard. 32, 14, 51-61. You can gain a certificate of learning by reading a Nursing Standard CPD article and writing a reflective account. To write a reflective account for Nursing Standard, use the NMC reflective accounts form. Complete the four questions about a CPD article you have read, writing about 700 words in total. The authors of reflective accounts that are published in Nursing Standard receive a £50 book token. Details of how to submit your reflective account for publication are available here.